For more than two decades now, Temple Fork Outfitters has provided anglers with tools that meet their needs. Their wide range of products has been designed to last a lifetime of services. Their products have been designed to optimize the balance between performance and affordability. Temple Forks Outfitter fishing rod design focuses on high-end performance and power, engineered to the exact standard set by the most legendary anglers. Check out this Temple Fork fly rods reviews to be enlightened on why this is the perfect choice for you. The term BVK stands for Bernard Victor Kreh, a well-known figure in anglers’ circles. Experts have hailed the BVK Series of fly rods for their fine-tuning. The Temple Fork Outfitters TFO BVK Series Fly Fishing Rods, in particular, have been engineered for the highest performance standards. It has been designed utilizing materials that drastically reduce the weight. This fly rod is regarded as one of the best fly fishing rods due to the dynamic blend of power and strength, it demonstrates. 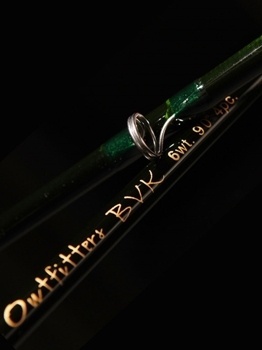 The BVK rods look quite attractive, with glossy forest green color. Considering the performance, this rod is an excellent buy for the price. The rod will amaze you with the casting ability and feel at a price, which is three times cheaper than the rivals. 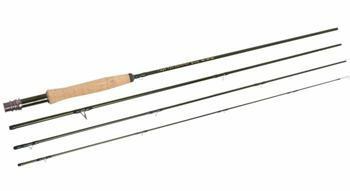 The rods come in a wide Line Class ranging from 3 wt. -12 wt. The TFO fly rods have been designed with materials that contribute to the high responsiveness of the rod. This allows for a more consistent and fast energy storage. For fishing activities, the anglers will be able to cast their rods more efficiently and accurately. The BVK series has been designed using layers of materials that all contribute to the responsiveness of the rod. Temple Fork fly fishing rods are fast action rods. This makes it perfect for fishing large game. It also makes it suitable for fishing certain types of species, where a long or short casting distance is involved. These rods are also ideal for fishing in areas with weeds or extremely heavy covers. The BVK Series rods will allow the angler to set the hook powerfully. They provide much more casting distance than regular fly rods in the market today. Besides, these fishing rods are suitable with largemouth, musky and pike bass. 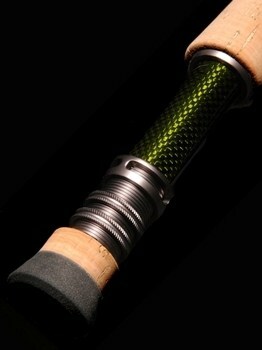 The fly fishing rods come in matching braided carbon fiber reel seats. This feature has been made available to satisfy expert anglers’ preferences. These carbon fiber Reel seats are made for the preferred density and strength. It is also lightweight, meaning it does not affect the overall performance of the rod. These TFO BVK reel seats are denser than any other grip materials available in the market today. This means the rod gets the best energy transmission far superior to other grips. The fishing rod is a lightweight fishing rod. Temple Fork Outfitters designed the BVK Series to create a slight bump up in power. Due to the softer feel, the BVK series fly fishing rods are best for light biting species. Anglers looking for lures in the range of 1/16 ounce should consider these fishing rods. This is the best TFO rod for trout and fishing certain species including the panfish. The fishing rod performs best at long distance casting. While a majority of fly fishing rods perform best at 50 feet and above, the BVK series set the bar at 70 feet. This is what makes the BVK Series the very best rod. The longer the range, the better the BVK balances. For such an inexpensive rod, the performance is just outstanding. BVK Series Fly Fishing Rods are truly light regarding weight. For instance, the 9'8-weight BVK Fly Fishing Rod weighs 3.2 ounces. This makes the 9'8 around a half lighter than other fly Fishing rods in the market. These fly fishing rods feel incredibly light in hand. This makes them perfect for casting all day. A limited lifetime, the no-fault warranty is available to the original registered owners of the fishing rods. Temple Fork Outfitters will repair and/or replace your BVK fly fishing rod no matter the case. They recognize the importance on the angler’s confidence in their product hence this generous warranty option offered on the BVK series fly Fishing rod. TFO’s BVK Series Fly Fishing Rods have several other features including, an exclusive tactical series stripping guide, Flor grade handle grips that are securely outlined, and light-weight chromium-infused stainless snake guides. The product comes with alignment dots to help anglers in uniting the pieces correctly. 1. 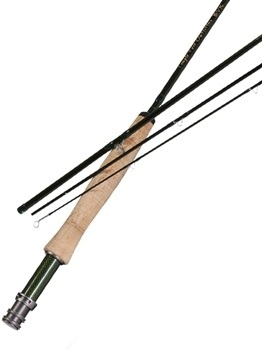 Where can I buy a BVK series Fly Fishing Rod? Temple Fork Outfitters has many dealers around the US. You can buy a BVK Series fly rod directly at these dealers. 2. Do I need to register for warranty purposes? Yes. Your BVK Fly fishing rod has to be registered online to be repaired by Temple Fork Outfitters. You should register your Fly rod as soon as you receive it. To register, go to Temple Fork Outfitters official website, and access the warranty registration page. The registration process is fairly quick and easy. 3. What does the online repair process look like? Once you have registered your Temple Fork Outfitters TFO BVK Series Fly Fishing Rod online, Log in to your account and find your registered TFO BVK Fly rod. Select the fly rod you wish to have repaired. Fill in the repair details. Include relevant information on what happened to the rod. Follow the checkout process. 4. How do I get my Temple Fork Outfitters Fishing Rod repaired for US customers? For US customers, send your Temple Fork Outfitters TFO BVK Series Fly Fishing Rod for repair to TFO address. Send the entire rod to TFO address in Dallas, Texas. 5. Do I have to send out my entire rod when seeking repair? Yes. Temple Fork Outfitters do not sell individual sections of their BVK Fly Fishing Rods series. Once your fly rod arrives at their address, they will re-fit a new section to your fly rod and inspect the rest for any additional damage or wear. 6. Should I send my personal Rod tube when seeking repair as well? No. TFO recommends that you don't send then your rod tube during repair. You are advised not to send your rod or reel carriers, or any other personal items. TFO will not be liable for their safe return. You don't need to break your bank to own this fly fishing rod. The fly fishing rod is a low-priced fly rod, worth of its praise. Many experts have hailed the BVK series as a finely tuned, light-weight and highly responsive fly rod. The TFO BVK Series Fly Fishing Rods have been designed to withstand rigorous fishing conditions while providing weight savings. Its affordability and applications make it the best fly fishing rod in the market today. It is made of stainless steel to survive in both salt and freshwater. 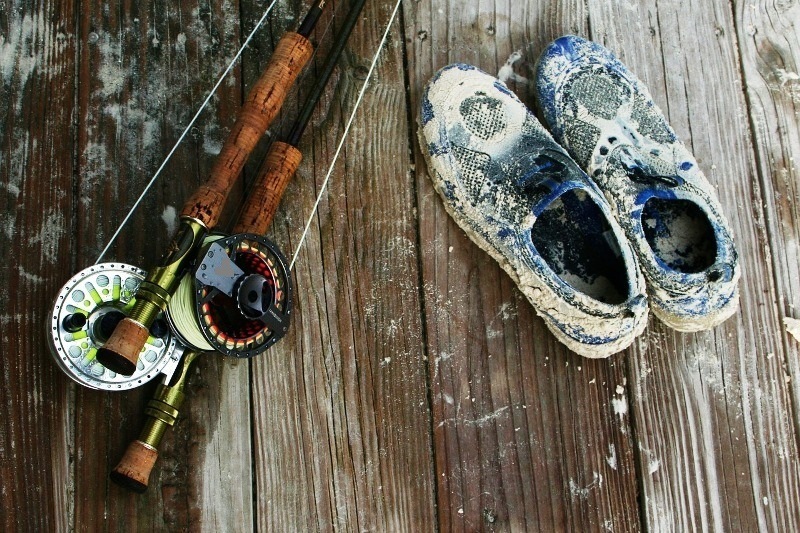 However, you need to consider cleaning it after fishing, to make it last longer. With our Temple Fork fly rods reviews we are going to rate this product 4.4 stars out of possible 5.